GLBSE BitCoin Market Watch: Protecting your BitCoin wallet! Your Bitcoin wallet is probably more secure if you use an alternative operating system to Windows. As Windows operating system is the main target for viruses, malware and hackers. Ubuntu is a good free alternative to Windows that is easy to use and with lots of support. If your new to the world of Linux and unsure of partitioning your hard-drive or completely removing Windows you could use Wubi to install (and remove) Ubuntu like any other Windows application. If your using a laptop and would like a massive boost to your battery life compared to Windows you could use the Lubuntu flavour of Ubuntu. If your using Wubi to install your Ubuntu you can just select the Lubuntu desktop package at the start of the Wubi installation. Lubuntu also works well on old hardware very well as does Xubuntu my favourite flavour of Ubuntu. Your BitCoins are more secure using any other operating system than Windows. If you'd like a mobile secure wallet you can install Ubuntu or any of it's variates onto a USB memory stick and boot your PC from USB. Here is a good guide how to do just that link. There is also this sticky on bitcointalk.org "HOWTO: Create a 100% secure wallet". 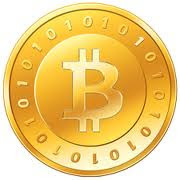 You could use Flexcoin to store your BitCoins securely tho it can involve fee which can be discounted against by having a positive balance kind of like an interest payment. When you choose the cold storage option with Flexcoin it's basically sending your BTC to an offline computer for safe storage. For an added layer of security their physical back-ups are stored in a actual bank vault. Whatever option you choose if you've got BitCoins to store you defiantly want to think about making sure there safe from hackers. Or even accidental loss too how many times have you had a virus and had to reinstall Windows or a hard-drive died on you? Well you'd loose all your Bitcoins!